This statistic shows the amount of satellite radio subscribers in Canada from 2008 to 2016, by language group. 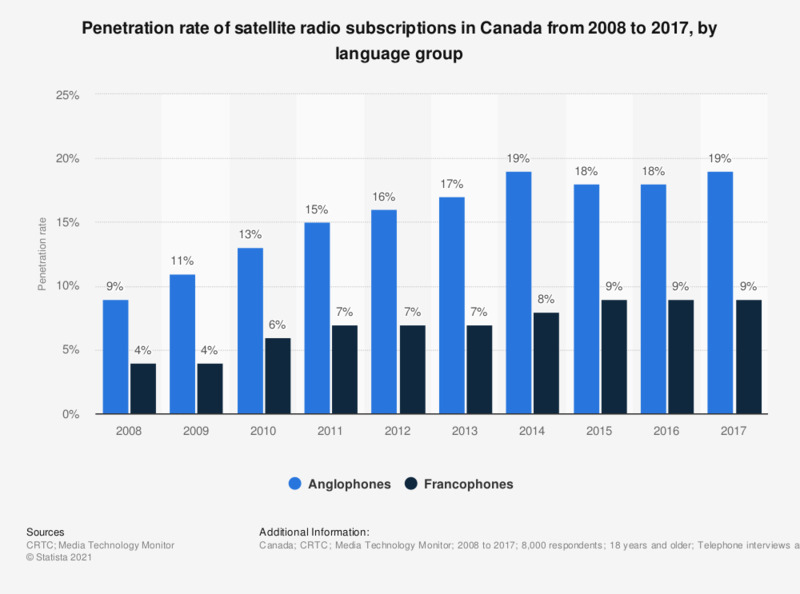 In 2016, 18 percent of Anglophones subscribed to satellite radio, while in comparison nine percent of Francophones had the same subscription rate. Value of new orders for primary metals in the U.S.